It is a great name for a road, Going-to-the-Sun Highway. 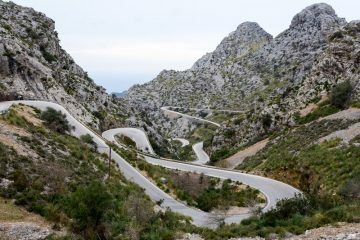 It conjures up an image of a road climbing into the heavens. But its title is a little misleading. 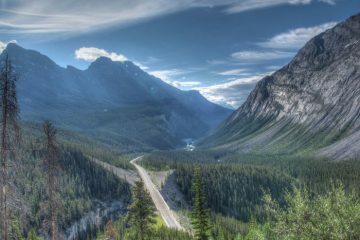 At its peak, the road is only just over 2,000m, but it is named after the Going to the Sun Mountain, home of an Indian Spirit who taught the Blackfoot tribe to hunt. 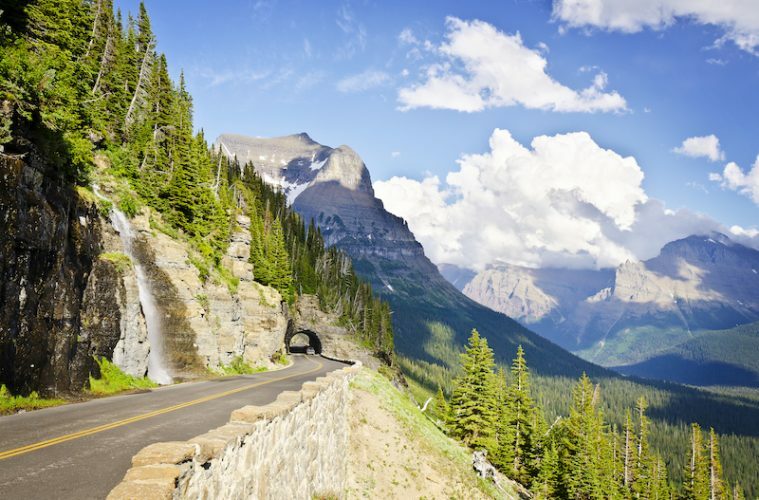 This 50-mile route was opened in the 30s, and due to its location in Glacier National Park and altitude it is one of the most difficult roads to maintain in the USA. 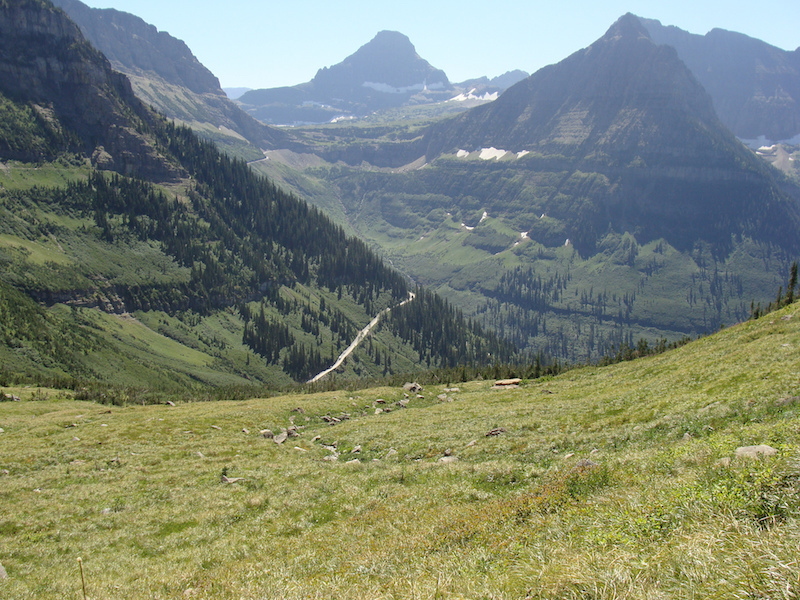 Glacier National Park is located in the Rockies at the northern edge of Montana. It buts up against Canada and its sister park is the Canadian Waterton National Park. Going-to-the-Sun Highway runs from Saint Mary, alongside Saint Mary Lake and up to its peak at Logan pass, where it crosses the Continental Divide. Rivers and creeks you have already passed flow east to the Atlantic. Everything after Logan flows west to the Pacific. From the summit of Logan, you ride around ‘The Loop’ and down past Lake McDonald to Apgar Village, for coffee at one of the little shops overlooking the lake. The road is mainly two lanes (just), often with sheer cliffs either side. One climbing and one dropping away. 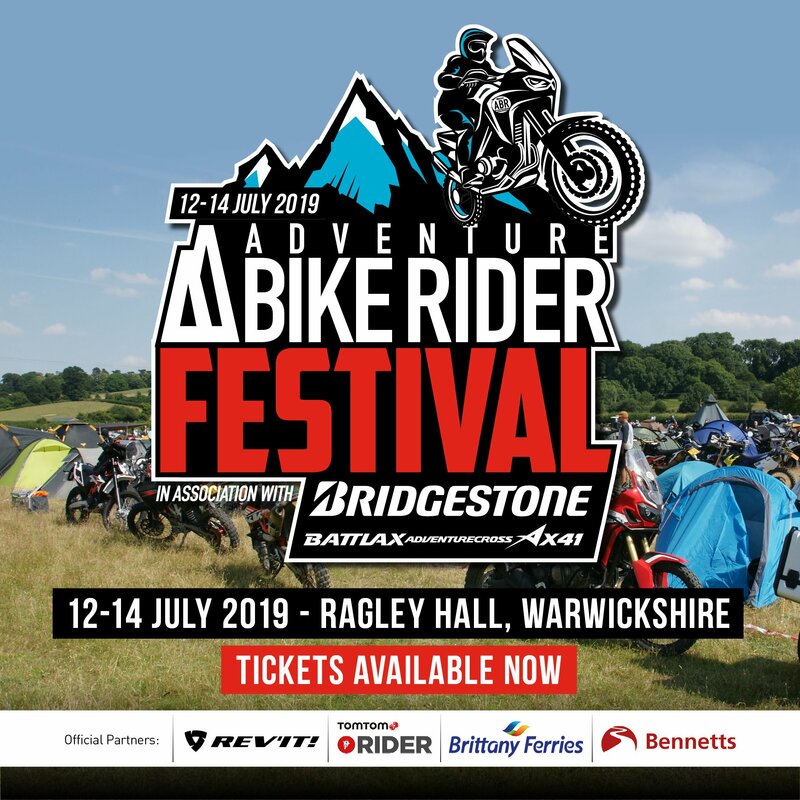 It is great riding but with a big downside if you get it wrong, and getting it right needs some planning (and not just on your braking points). Firstly, it is only open from late June to mid-October, and this is snow dependant. It can take ten weeks to plough the road and then it needs repairing. Every year the avalanches and the ploughing damage the surface and the barriers. So, it’s best to avoid going early in the season as it can be plagued by road works. Oh and avoid 10am to 4pm. This is the height of the tourist times on the Going-to-the-Sun Highway and it will be busy. Rise and ride early. The good news is if you do then you will meet less traffic, and most of it will be smaller cars. There are no huge American RVs as anything over 6.4m long or 2.4m wide is banned on the highest sections. The surface is all tarmac, except for those road works, and packed with twists and turns. However, it also has a very pedestrian speed limit ranging from 25 – 45 mph. On some stretches this may seem ridiculous but chill and enjoy. 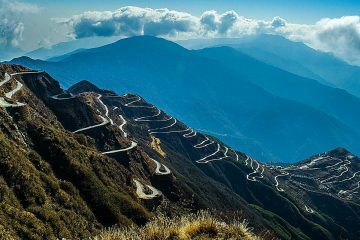 At the peak of the road, rounding blind hairpins with a 300m drop inches away it seems fast enough! 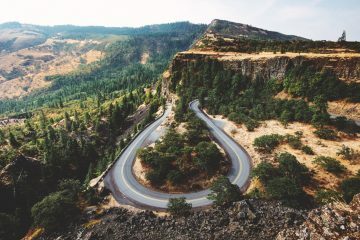 Want to ride the Going-to-the-Sun Highway? 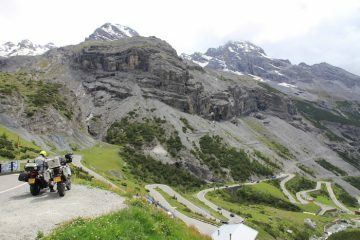 Going-to-the-Sun is just one of the Greatest Roads you can ride with Motorrad Tours. 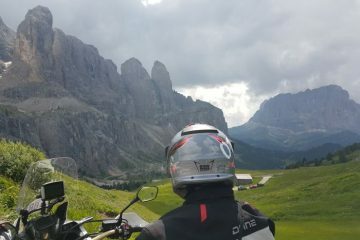 Motorrad Tours is an independent tour operator which specialises in taking the hassle out of the planning and logistics of riding the world’s greatest motorcycle routes, without taking away your freedom to ride and explore. You can ride Going-to-the-Sun, at the end of the season, on their Alaska and the Canadian Rockies Tour.